DVD cover of South African director, Gavin Hood’s 2007 film Rendition. Rendition has all the trimmings of a typical Hollywood blockbuster – starlit cast, USA vs. ‘the terrorists’ theme, drama and suspense throughout, and political scandal, complete with a hero who saves the day and tearjerker ending. Reese Witherspoon breathlessly plays the devoted “like 100 months pregnant” wife to emotionally apt perfection, Jake Gyllenhall is the endearingly aloof and fumbling knight in shining armour, and Meryl Streep is an exquisite icicle ruthlessly defending her country. To perceive the film at face value, however, would be to grossly dismiss its complexity and power. The story primarily follows the El-Ibrahimi, Fawal and El-Emin families concurrently as the paths of their lives intersect over what is revealed to be a week. One is tricked into believing the time frame to be linear – the characters are shown waking up in sequence, and seemingly criss-crossing through the same places at the same time. The story trains centre around a suicide bombing which takes place in the opening scenes of the film, causing a domino effect with unthinkable consequences. The bomb explodes in what is ambiguously described as “North Africa,” killing 19 and injuring 75 civilians. An American C.I.A. agent is among the casualties, aggravating the reaction of head C.I.A. agent Corrine Whitman. Blinded by post-9/11 paranoia, she orders the rendition of an innocent man despite the terrorist group El-Hazim immediately claiming responsibility for the attack. Anwar El-Ibrahimi is returning from a conference for chemical engineers he was invited to attend in Cape Town, South Africa. Before he can get home to his pregnant wife Isabella and their 6-year-old son, Anwar is inconspicuously whisked away through a door by authorities on his arrival in D.C. and disappears. Desperate, “Izzie” seeks help from an old flame in politics – Alan Smith, from the leading senator Hawkins’ Office – though no one can offer any explanation as to what Corinne calls her “problem.” Her husband meanwhile is unlawfully questioned, inhumanely detained and abominably tortured by Abasi Fawal under the instruction and supervision of USA officials. Like Corrine, torturer Abasi firmly believes in their work, methods of information extraction and its consequential success in saving lives. At home however, he is a compassionate father (shown in his interactions with his youngest daughter) and despite being steeped in tradition wants the best for his family of females. 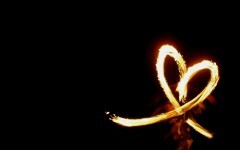 He has arranged for his eldest daughter, Fatima, to marry. Young and already in love with a fellow classmate, Khalid El-Emin, Fatima runs away in desperate defiance, given sanctuary at her aunt’s house. When the aunt has to leave for business and Khalid’s grandmother is fortuitously away for the week, I found myself cheering this budding love on as Khalid tenderly removes Fatima’s headdress, declaring her hair to “Smell[s] like Jasmine!” As we are offered information by the characters’ various perspectives, we come to learn that Khalid has become involved in an armed resistance movement. My heart leapt racing as the book dropped in slow motion and Fatima launched for the door. With a blinding burst of light, we are returned to the initial chaotic scene in the market square, and with a sickening sense of déjà vu realise what is about to happen. An awful twist on Romeo and Juliette, Fatima finds Khalid plastered with explosives, though he begins wavering in the face of her pleading. Fearing a change in heart, Khalid is shot by his religious leaders – the bomb designed to detonate as soon as the hand releases. Grieving over him, Fatima is the first victim killed. The impact is compounded by the fact that you realise she is dead at the same moment as her father – that the sparkling girl you have come to know throughout the film in fact died in the opening scene, and you unknowingly witnessed her moment of death with her father on the tourist’s video. Though Anwar is finally safely reunited with his family and Corinne is left to face the music (the newspaper titles blaze: “CIA Officer Frees Victim Of Torture” and “Extraordinary Rendition alleged at US airport”), the cycle of the film shows how all families concerned are left to mourn. “They were just children,” laments the El-Emin brothers’ grandmother to Abasi. ‘Rendition’ is defined in the Oxford English Dictionary as “1 a rendering of a dramatic, musical, or artistic work. 2 a translation. 3 (also extraordinary rendition) (especially in the US) the practice of sending a foreign criminal or terrorist suspect covertly to be interrogated in a country with less rigorous regulations for the humane treatment of prisoners.” The third definition was previously unknown to me, but the film goes to great pains to make it abundantly clear – Alan recites the definition virtually verbatim for “Izzie,” ensuring that it is crystal clear to both her and the audience. 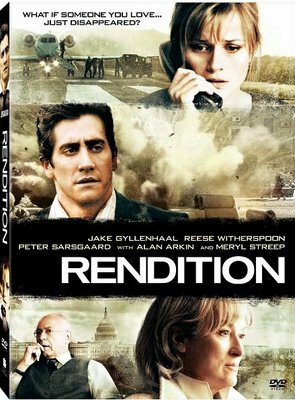 Rendition is a masterful rendering of all three of its definitions – it is a form of dramatic, musical and artistic representation; the dialogue is in both English and Arabic, the film also acting as a ‘translation’ for the audience of the words of what ‘rendition’ means in comparison with its chilling reality; and the plot essentially focussing around the rendition of Anwar and the characters that intercept this path. Influenced by a documentary during the film’s conception, director Hood requested that it be included in the special features. Outlawed: Extraordinary Rendition, Torture and Disappearances in the “War on Terror” horrifically detail the true stories of two men who were captured on rendition and survived months of unspeakable torture and dehumanisation – driving the gravity and reality of the film home like an anvil. We are challenged to question whether there is any sense of law or justice in the world while places like this exist – and also call to question who is being defended, against what, and to what means and effect. Unless the Biblical adage of “an eye for an eye” gives way to human understanding, we will be doomed to tormented darkness.